The ANTOP Flat-Panel AT-402B panel design is aesthetically pleasing and suitable to match a wide range of home exterior styles. 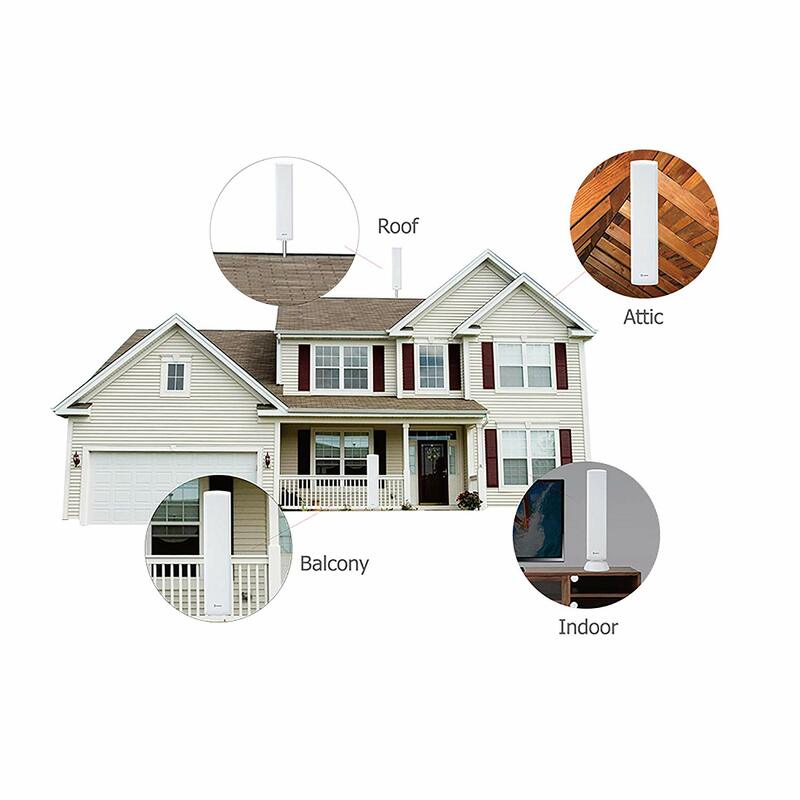 The Multi-directional reception, UV coating and weather resistant finish and creative panel design, allow you to install your AT-402B antenna in various locations around the exterior of your home: roof, balcony. It is also suitable for indoor use in an attic or placed on a table top. The AT-402B supports HDTV, 1080P TV and 4K ULTRA HD and is compatible with TV converter boxes or digital TVs. The number of TV channels and programs that you can receive for FREE depends on the amount of over-the-air broadcasters in your area. With the ANTOP AT-402B, there is no monthly fee and no need to subscribe. Just plug into a TV, scan the channels, and then enjoy your TV shows! 1) Smartpass Amplifier, exclusive ANTOP technology, balances reception range. The Smartpass Amplifier’s all-in-one design allows easier connection, delivers correct balance between short and long range reception. It must be powered in order to function. Push the smart switch On or Off and select the switching with which more channels are received. NOTE: Antenna effectiveness is influenced by the distance from signal origination point, station signal strength level, building construction, antenna positioning, reflections from nearby structures and any power consumption sources. The amount of free over-the-air channels you can receive will vary by area and antenna selection, check signal availability at FCC Signalmaps. The YouTube Deal Guy recommended this product and I also thought the price was great. So I bought it. It is working great and with only a bit of trying I got nearly 30 channels! Because of my location I am credulous of an antenna that says it will work better than anything on the market. 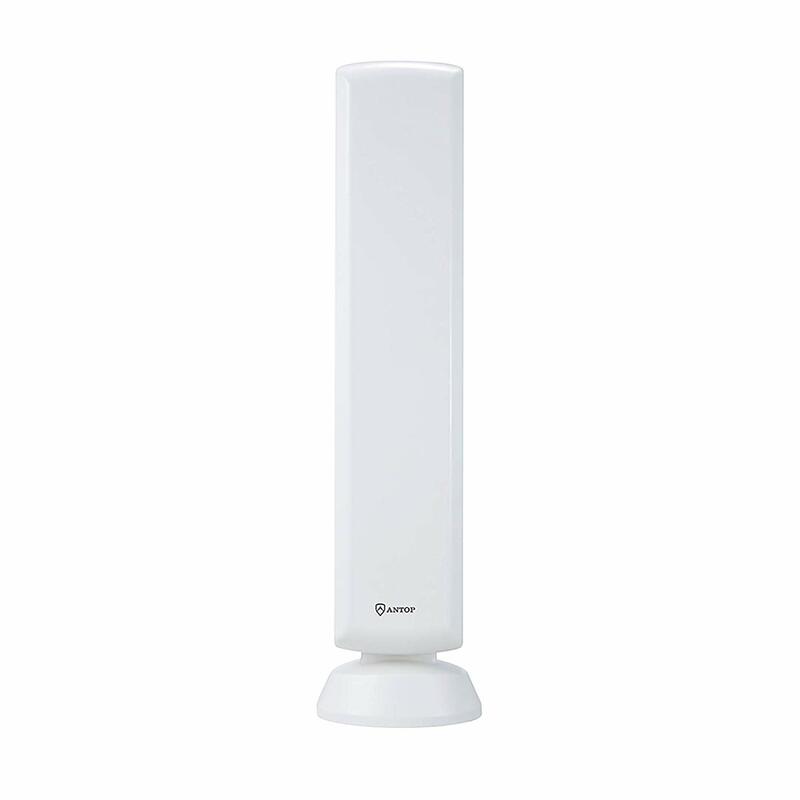 It was marketed as an indoor/outdoor antenna. I bought it for indoor use. Unfortunately, it won't pick up many of my local channels. I won't say it is a bad product mainly because I am on the outer edge of it's range. I was just hoping that this would be the one that would work better than all the others I tried. Deal Boss: Good salesman, sales pitch and marketing. I had a mud flap set up; received 28 channels,; half of them were fuzzy/unusable. With the BIG BOY received 37 channels; all of them sharp and clear!